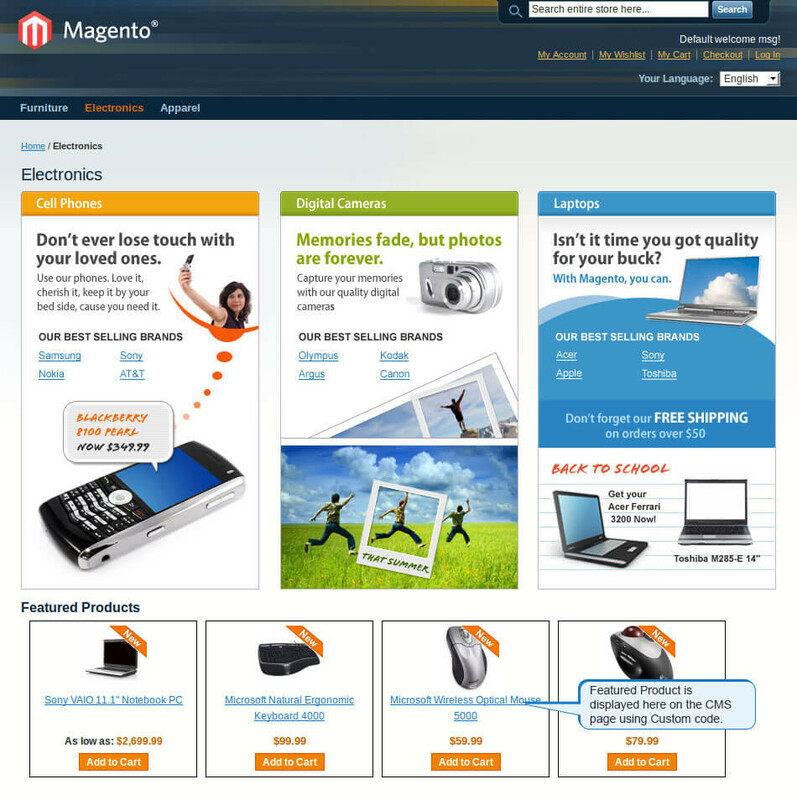 Featured Products Extension for Magento enables online store owners to highlight and showcase special products and draw the attention of potential customers and boost sales! 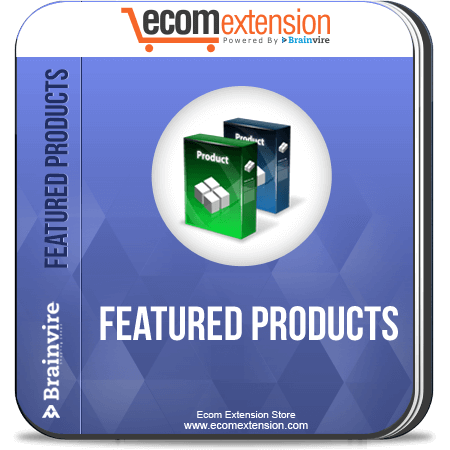 Our Magento Featured Products Extension highlights your store’s special products. This extension allows store owners to display featured products to attract the attention of maximum number of customers. The featured products can be displayed category wise too! 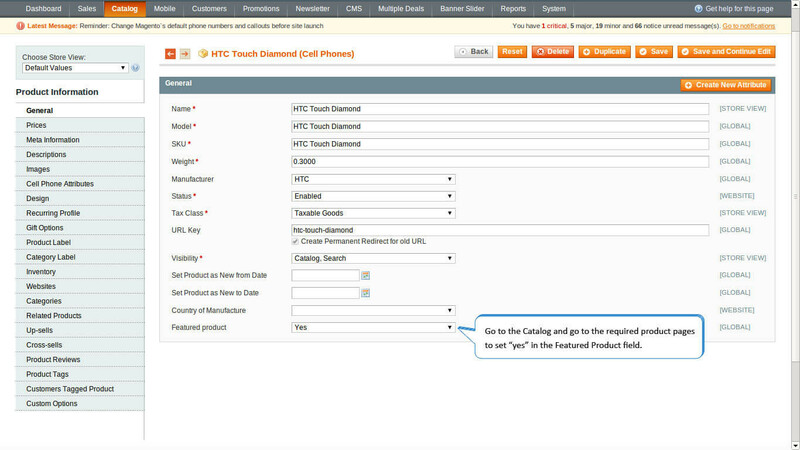 It also provides flexibility to customize to any store using it’s intuitive user interface. The Featured Products 3 is the latest release of the Featured Products Extension for Magento. The previous versions (1.x and 2.x) will no longer be developed to or supported with the new Magento versions. Appealing interface with sideshow features. 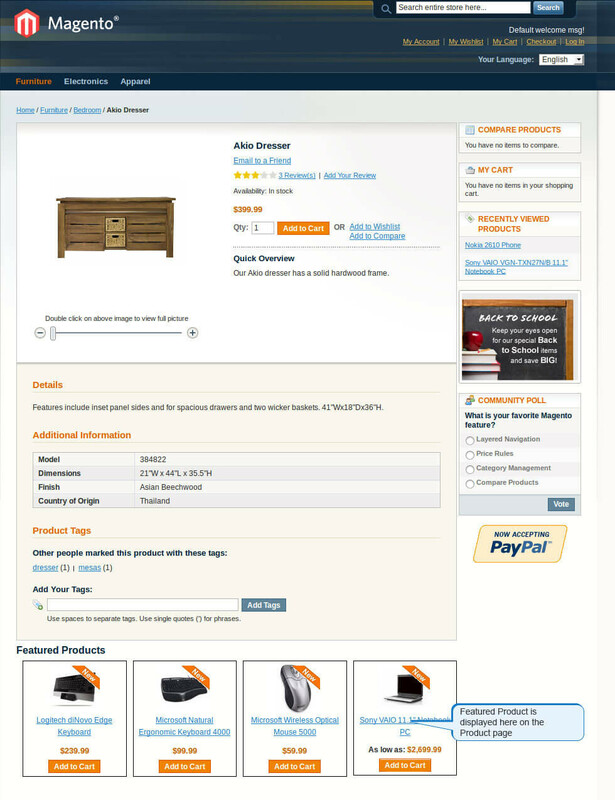 Fancy Slider type display enables customers to click on the product preview. Adding Featured Products Block to any Page. You get flexible options for the product display. Customizable positioning and layout options. Display specific number of products to the list. Display specific number of products per row in the grid. 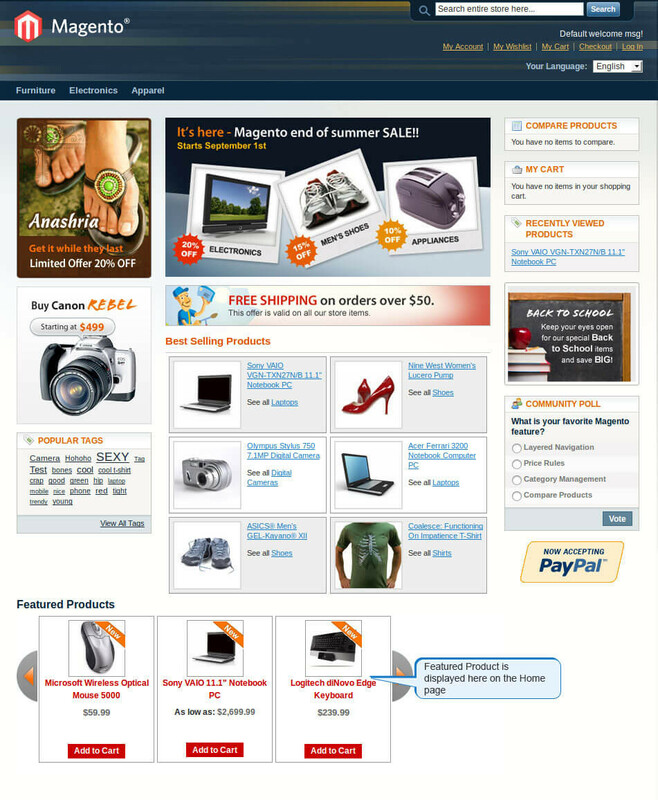 Enable/Disable Display of Featured Products on Homepage and Product Page. Fully customizable look – edit a simple CSS to change color, object placement and size. 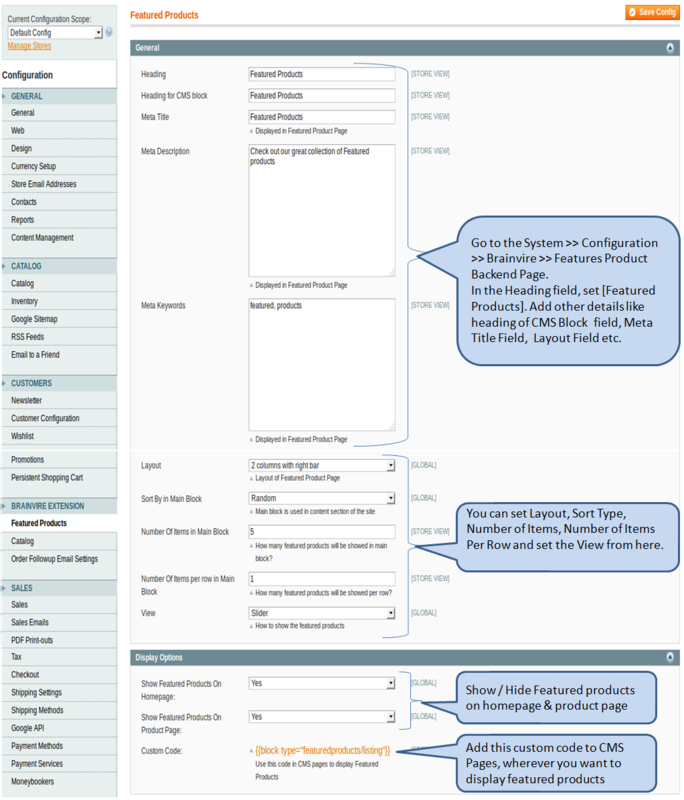 Various Display Options for Displaying Featured Products on Homepage, Product page and CMS pages. There are no side libraries. There is custom as well as compact code. CSS in a separate file – customize the way you need it. In package, there is ready-to-use CSS presets.